Are you crazy about museums and have you planned to visit Rome in a week? Then the capital is the best choice for you. In fact there are many museums where you can satisfy your desire for art. From the most important and famous to the smallest and most special ones you have only to choose. If you are a workaholic you can try to visit a museum every day. Keep in mind that the visit will take you at least two hours. If, on the other hand, this timetable seems too difficult, you can decide to dedicate a few days to the museums. After the visit, you can spend the rest of the day by exploring the area of the city that is located around the museum that you have chosen. They are a must if you try to visit Rome in a week, but they should be put in the itinerary even if you visit Rome in 5,4,3,2 days … in short, they should be seen! It is the oldest museum in the world and is housed in two spectacular buildings located in Piazza del Campidoglio. The origin of the Capitoline Museums dates back to 1471, when Pope Sixtus IV donated to the citizens some bronze sculptures, laying the foundations of what is today one of the greatest Italian collections of classical art. The centerpiece of the collection are the ancient statues, but in the Capitoline Gallery you can also find masterpieces of many Italian and Flemish artists. Opening time: every day 9.30-19.30, 24 and 31 December 9.30-14. The ticket office closes an hour earlier. Closed on January 1st, May 1st, December 31st. Behind the façade of Palazzo and Galleria Doria Panphilij there is one of the richest private art collections in Rome, both for the number of works and for the importance of the authors who made them. The galleries consist of ten rooms, arranged chronologically and filled with floor-to-ceiling paintings. Do not miss the Salome with the head of the Baptist Titian and Rest on the flight to Egypt of Caravaggio and alsol the portrait of Innocent X of Velasquez. Opening time: every day from 9.00 to 19.00. Last entry at 18.00. Closed on: December 25th, January 1st, Easter. Also open on November 1st, Easter Monday, April 25th, May 1st, June 2nd and August 15th. With its 7 km of exhibition space, the Vatican Museums are a truly unique experience, not just for art lovers. None of those who enter this museum complex can in fact remain indifferent to what is one of the greatest collections of art in the world. Masterpieces such as the Stanze di Raffaello and the incredible Sistine Chapel are already a reason to come and visit Rome. 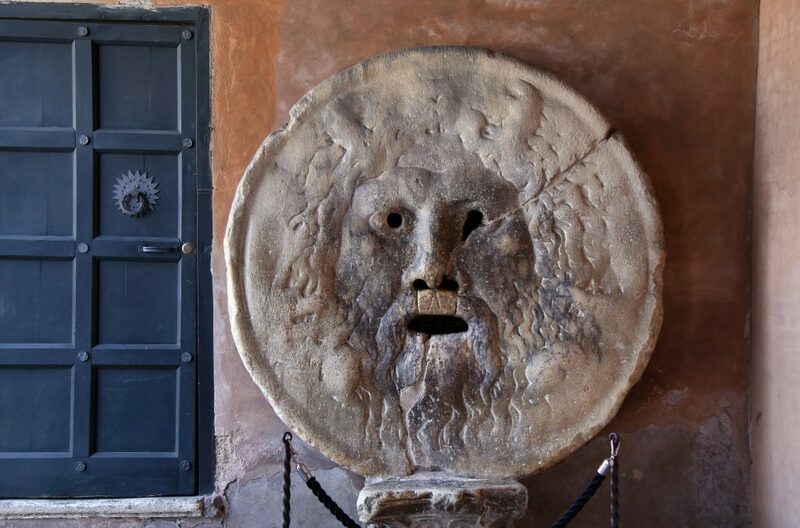 Founded by Julius II they are found in the halls and galleries of the Vatican Apostolic Palaces. Almost all the sectors of the Vatican Museums are accessible to the disabled. Opening times: Monday to Saturday 9.00-18.00 (last admission at 4pm and exit from the rooms half an hour before closing). This is another museum that you must absolutely include in your itinerary if you want to visit Rome in a week. Defined as the “queen of private collections of art”, this museum boasts some of the most precious treasures of the capital. It contains works by Caravaggio, Bernini, Botticelli and Raffaello, and the famous statue of Canova portraying Paolina Borghese as the winning Venus. The gallery is accessible to people with disabilities. Opening times: Monday closed, Tuesday to Sunday from 8.30 to 19.30 closed January 1, December 25. Entry is allowed until half an hour before closing. The museum is often overlooked, it is wonderful, wide and bright and contains spectacular classical art pieces (the resting boxer, sleeping Hermaphrodite), as well as extraordinary paintings and mosaics. The advice is to start the visit from the second floor so as to admire the most extraordinary works when you are still refreshed. When you admire the frescoes you will get an idea of the interior of the sumptuous villas of ancient Rome. Opening time: Open every day from 9 to 19.45. Closed on Mondays (except Monday in Albis and during the cultural week), January 1st, December 25th. The ticket office closes at 19.00. The MAXXI (National Museum of the XXI Century Arts) is the most important contemporary art museum in the capital. Designed by the Anglo-Iraqi architect Zaha Hadid, it was inaugurated in 2010. The geometric façade of the building, built on several levels, hides an interior of gigantic dimensions, full of light and crossed by suspended staircases and structures made of glass, concrete and iron. It consists of two sections, one dedicated to architecture and the other to contemporary art. It is very interesting to visit it on the occasion of exhibitions and installations. Bus stop: (line A stop Flaminio) by tram, Viale Tiziano for buses. Opening time:Tuesday to Friday from 11.00 to 19.00, Saturday from 11.00 to 20.00, Sunday from 11.00 to 19.00. Closed every Monday, December 25th and January 1st. The ticket office closes an hour earlier. You have only 2 days to visit Rome but are you crazy about museums? The capital is full of beautiful museums that should all be visited, but since tou have to make a choice, of course, we suggest you to select the most important ones, which represent the main attractions of Rome. Vatican Museums, Capitoline Museums, Galleria Borghese and others are therefore a must to be included in your itinerary if you wish to visit the museums of Rome in 2 days. To make it easier for you, we can suggest you a choice that you can adapt as you like. Please note that for every museum it is necessary to dedicate at least two hours, so we suggest you to see only one of them per day. Then you can use the rest of the day to see the areas of the city around the museum that you have decided to visit. Start your day in the capital with a visit to the Vatican Museums (buy the tickets online to avoid the queue and save time). You will arrive there by stopping at the Ottaviano San Pietro stop. It will be difficult to forget the experience of having visited this museum which is one of the largest collections of art in the world. It is impossible to see all 7 kilometers of exhibition space where there are more masterpieces than those of many small countries. So you will have to choose what to see. We advise you to go to the Pinacoteca (do not miss the Transfiguration of Raffaello), to the Pio-Clementino Museum (for the Apollo del Belvedere and the magnificent Laocoonte), to the Gallery of Geographical Maps, in the Raffello rooms and in the unmissable Sistine Chapel (it is the only room with air conditioning). At the end of the visit stop in the amazing Piazza San Pietro enjoying the grandeur of the Basilica of San Pietro. Take the usual photos to remember the day and if you wish stop to eat and rest. After resting walk through via della Conciliazione and come up to Castel Sant’Angelo and admire it only from the outside. The square is always crowded with tourists and street artists at every hour of the day and night. If you want to take a break you can go to the nearby Piazza Sant’Eustachio and enter the homonymous café: the place is nothing special but serves the best espresso in the city. Then return to Piazza Navona and exit the square towards the south by reaching Campo dei Fiori. It is here that the heretic Giordano Bruno was burned alive and in memory of this event there is a statue that represents it. The square is one of the focal points of Roman life: during the day it is a lively market full of people, in the evening a place to go for a drink. If you do not want to see the Vatican Museums, you can visit alternatively the National Roman Museum: Palazzo Massimo alle terme (metro station: Termini). The museum (accessible to disabled people), is often overlooked, but is wonderful, spacious and bright and contains spectacular classical art pieces (the resting boxer, sleeping Hermaphrodite), as well as extraordinary paintings and mosaics. After the visit to the museum you can plan the rest of the day according to the itinerary described above. You can arrive in Piazza Navona with a half-hour walk. To save money on the admission to these attractions we recommend that you use one of the many combined packages, we’ll introduce you to some of them below. Alternatively, you can purchase the Omnia Card. Vatican Museums: from Monday to Saturday 9.00-18.00 (last admission at 4pm and exit from the rooms half an hour before closing). Full ticket € 16, reduced ticket € 8. Included in the Omnia Card. St. Peter’s Basilica: October 1 – March 31 every day 7.00-18.30 / 1 April – 30 September every day 7-19.00. Free admission. National Roman Museum – Palazzo Massimo alle terme: Open every day from 9 to 19.45. Closed on Mondays (except Monday in Albis and during the cultural week), January 1st, December 25th. The ticket office closes at 19.00. Full ticket € 8 Reduced ticket € 3.50, free under 18 years. Included in the Roma Pass. 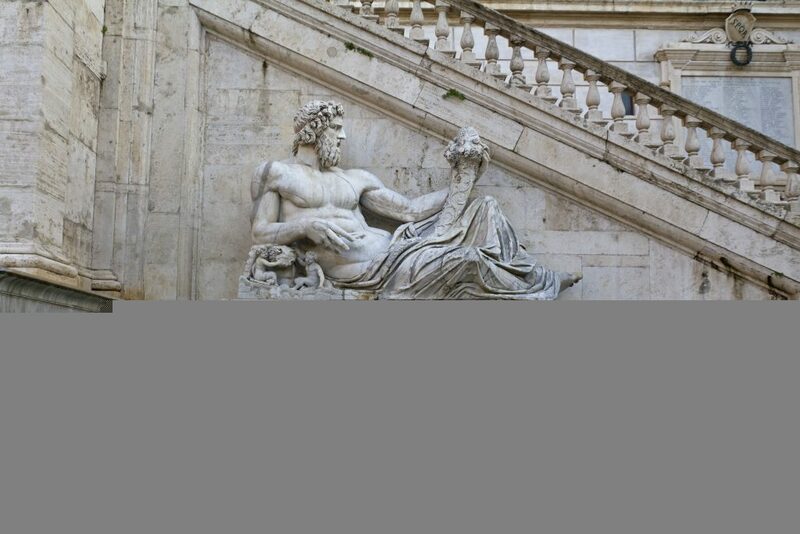 On your second day of the itinerary to visit the museums of Rome in 2 days we suggest you visit the Capitoline Museums, one of the most popular attractions in the capital (equipped for the disabled). Arrive in Piazza Venezia (Piazza Venezia bus stop) and reach Piazza del Campidoglio by accessing the Cordonata, the staircase that leads from the Ara Coeli square to the top of the hill. At the centre of the square, built by Michelangelo, you will find a copy of the equestrian statue of Marcus Aurelius (the authentic one can be found in the Capitoline Museums). There are three palaces that surround the square: Palazzo Senatorio at the back, Palazzo Nuovo on the left and Palazzo dei Conservatori on the right. The latter two buildings host the Capitoline Museums. The main entrance to the museum complex is in the Palazzo dei Conservatori, where there is the original core of the statuary collection and a Pinacoteca (on the second floor) with paintings by Tiziano, Tintoretto, Rubens, Van Dyck and many other great artists. Palazzo Nuovo instead contains a considerable number of classical sculptures. Not to be missed, among others, is the Capitoline wolf, the dying Galata and the Capitoline Venus. For the visit, take into account at least two hours. When you leave the museums stop for lunch and regain some strength. Once you feel refreshed and rested, return to Piazza Venezia, dominated by the Vittoriano, the immense monument of white marble built in 1885 to celebrate the unity of Italy. The monument was later dedicated to the unknown soldier and a torch perpetually burns inside it, guarded by guards of honour. Please note that it is forbidden to sit both on the steps and inside, there are strict controls. To enjoy a full view of the city, go up to the terrace with the glass elevator that is on the side of the monument. 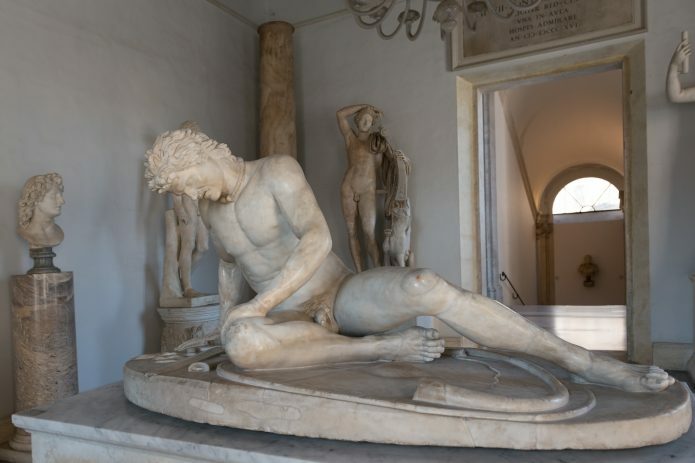 Capitoline Museums: every day 9.30-19.30, 24 and 31 December 9.30-14. The ticket office closes an hour earlier. Closed on January 1st, May 1st, December 31st. Full ticket € 14, reduced ticket € 12. Included in the Omnia Card. Doria Panphilj Palace and Gallery: every day from 9.00 to 19.00. Last entry at 18.00. Closing on: December 25th, January 1st, Easter. Also open on November 1st, Easter Monday, April 25th, May 1st, June 2nd and August 15th. Full ticket € 12, reduced ticket € 8, family ticket € 40.002 adults + 3 children aged 6 to 18 years. Free under 5 years. Discovering the Eternal City in its entirety could take you months, or even years, but you can still visit Rome in 3 days and get a taste of its incredible beauty. Monuments, attractions and ancient buildings are found around every corner and pleasing surprises at every step. 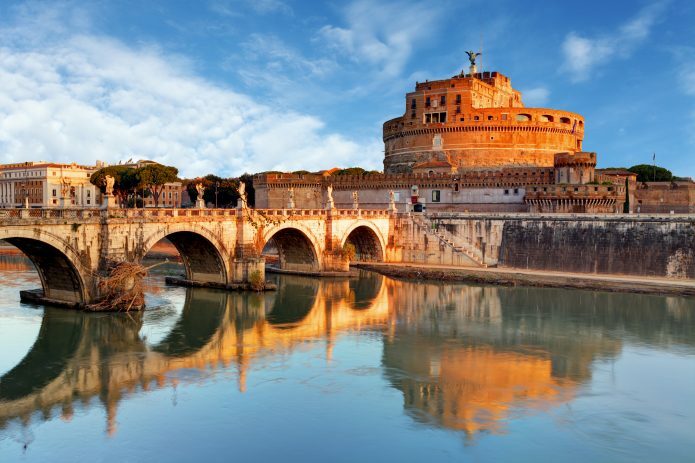 There are endless itineraries available to help you discover the Capital of Italy. You can easily “tailor” these itineraries according to your preferences and your time available for visiting each attraction. The itinerary we offer will guide you through all the iconic locations that make Rome such a unique city worldwide. Being fresh and rested, we suggest Città del Vaticano (Vatican City) as a starting point for visiting the capital (metro stop: Ottaviano – San Pietro). It’s always a good idea to get there early in the morning so you can avoid large crowds of visitors. Begin with Basilica di San Pietro (St. Peter’s Basilica), the largest, richest and most spectacular church in Italy. No picture and no story can describe the emotional impact created by the immensity of this building and the magnificent decorations and works of art it contains. Please remember to wear proper clothing or access to the Basilica will be denied. Avoid miniskirts, shorts or bare shoulders. After visiting the basilica, take a break at Piazza San Pietro (St. Peter’s Square), snap some pictures and enjoy the magnificence of one of the world’s largest public spaces. Then head over to the Vatican Museums for an unforgettable experience. We suggest buying your tickets online to avoid queueing. The museum (equipped for the disabled) is incredibly large and it would take you years to see it all, therefore, for a general tour, we recommend visiting the Pinacoteca (Art Gallery), the Pio-Clementino museum, the Galleria delle Carte Geografiche (Gallery of Maps), the Stanze di Raffaello (Raphael Rooms) and of course, the amazing Cappella Sistina (Sistine Chapel, here to ensure your priority) with its precious frescoes painted by Michelangelo. Keep in mind that you will spend at least 2 full hours in the museum. Once you exit the museum, take a walk along Via della Conciliazione up to Castel Sant’Angelo. 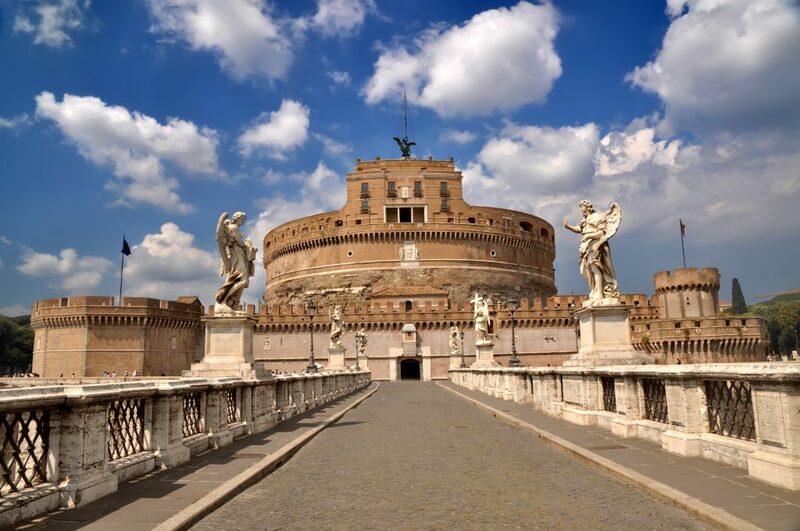 This is a Papal fortress built upon the mausoleum of Emperor Hadrian in the Middle Ages. (2nd century AD). Don’t leave the fortress without enjoying an amazing view of the city from the terrace. If you bought the Roma Pass you will be able to jump the queue and access the site directly through the appropriate turnstiles. After your tour, take a well-deserved break, have a meal and recover your energy. Avoid the pizzerias and restaurants surrounding the Vaticano, where they won’t hesitate to serve you very cheap food at extremely expensive prices. Our 3 days visit to Rome itinerary continues through Ponte Sant’Angelo. Enjoy a pleasant walk in a maze of alleys and squares that maintain an authentic Roman character to this day. Head towards Piazza Navona, the epitome of all Roman squares. Be enchanted by beautiful Baroque palaces and magnificent fountains (including Bernini‘s Fontana dei Quattro Fiumi). Here you will find crowds of tourists, portrait artists and street performers filling the square day and night. For a break you can visit the nearby Piazza Sant’Eustachio and enter its namesake Cafe: this place may not look special but they have the best espresso in Rome. Return to piazza Navona and exit through the South. Cross Corso Vittorio Emanuele and follow Via dei Ballauri up to Campo dei Fiori, with its famous statue of Giordano Bruno, the heretic monk burned at the stake during the Reformation. This square is one of the centers of Roman life: a crowded marketplace during daytime and a place to hangout for a drink at night. Finally sit down for dinner in the surrounding area to end the first evening of our itinerary for visiting Rome in 3 days. 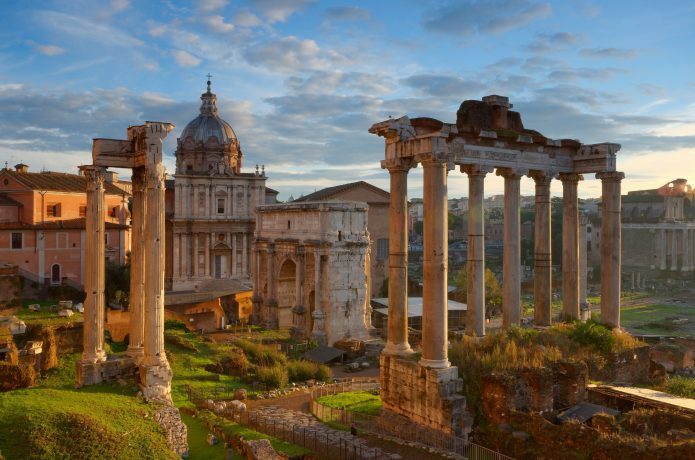 The second day of our visiting Rome in 3 days itinerary will guide you as you discover ancient Rome. Start your tour early in the morning in order to avoid the peak of crowds flooding through the city. We recommend bringing along bottles of water and something to eat. This will help you avoid spending a lot of money at bars or at the food trucks parked in Via dei Fori Imperiali. 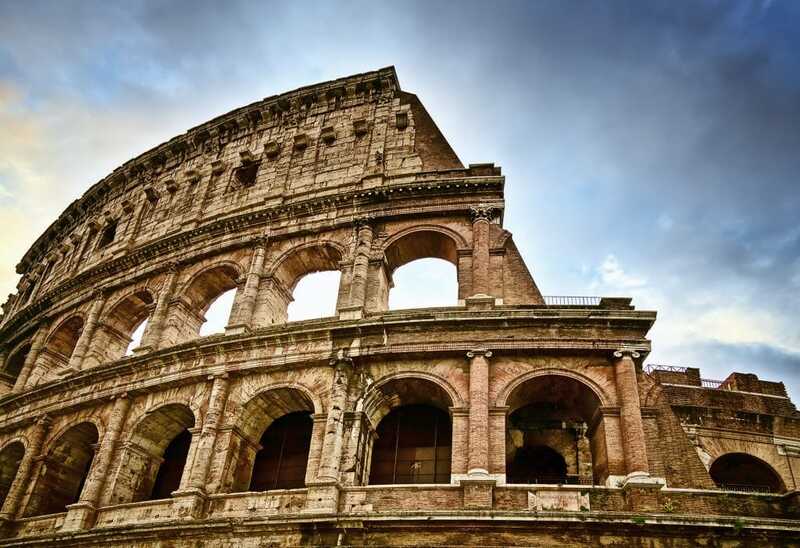 If you are visiting Rome in 3 days with your kids, you don’t want to miss the Colosseo (Coliseum). Start from the Colosseo (metro stop: Colosseo), Rome’s quintessential symbol and most exciting monument. If you plan to enter it, please buy the ticket online and you can skip the long queue at the entrance. Not far from the Colosseo is the Arco di Constantino (Arch of Constantine), the most famous Roman triumphal arch and one of the last monuments of ancient Rome. After taking a few souvenir photos, take a walk along Via dei Fori Imperiali, all the way to the Foro Romano (Roman Forum), on your left. This was once the heart of Rome. The Fori Imperiali (Imperial Fora) is an archaeological complex extending along the road and contains ancient forums built by various emperors from 42 to 112 BC. Admire the forums along Via Alessandrina right up to the majestic Colonna di Traiano. If you brought your lunch bag with you, we suggest stopping under the Colonna di Traiano, since you won’t find many restaurants or bars in this area. Otherwise, if your not too tired, you can reach Rione Monti (from the Fori imperiali take via Cavour and make a turn onto via dei Serpenti). It’s an area with lots of uphill walking but you will find many restaurants, trendy bars and bistros. After a refreshing meal and some rest, head to Piazza Venezia and visit the Vittoriano. Opinions on this attraction are divided into two groups: those who love it and those who hate it. Certainly you can’t ignore it. It was built in 1885 to honor the unification of Italy and today this monument is dedicated to the Unknown Soldier. Please note that there are strict controls here and sitting down is forbidden. The terrace at the top offers an amazing and unique view. You can reach the top of the Vittoriano with its panoramic glass elevator on the side of the building. For our last step of the day we suggest visiting the Campidoglio (Capitoline Hill), the most famous and smallest hill in Rome. The most spectacular way to get there is by climbing the Cordonata, a stairway from Piazza d’Aracoeli to Piazza del Campidoglio, designed by Michelangelo. Here you will find a perfect replica of the equestrian statue of Marcus Aurelius. The original is displayed in the Capitolini Museums (equipped for the disabled) located on the right side of the square. The Capitolini Museums are the oldest public museum in the world and are well worth a visit. It’s included in the Omnia Card. 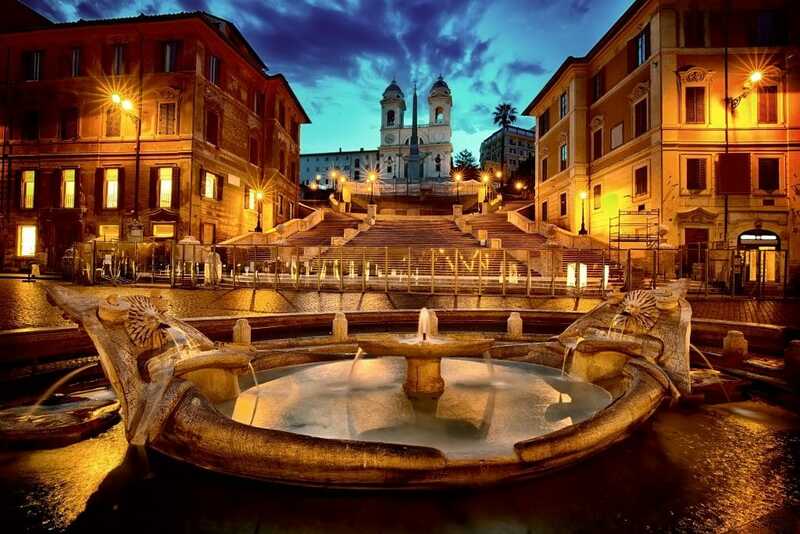 Piazza di Spagna, the perfect place to spend an evening during your 3-days visit in Rome. The itinerary of your last day in Rome begins from Piazza di Spagna (metro stop: Spagna) with the famous Trinità dei Monti (completely restored to its former glory), at the foot of which lays the famous Fontana della Barcaccia. The architectural elements and the surrounding ochre buildings convey an undeniable 18th-century elegance to the Piazza. Via dei Condotti, which starts in front of the stairway, is a popular fashion-shopping destination in Rome. Along the pedestrian street you will find the most elegant and expensive shops in Rome. Do not miss the opportunity to do some shopping here if you can afford it. Stroll all the way to Via del Corso (another shopping street) where you will reach the spectacular Fontana di Trevi (Trevi Fountain), the largest and most famous fountain in Rome. The streets leading to the fountain are not directly aligned with it, so it will appear suddenly in front of you and truly leave you breathless at first sight. Such magnificence is preceded by the sound of flowing water, which will guide you to this wonderful place. After visiting the Trevi Fountain, snapping some pictures and having something to eat, cross Via del Corso and head to the Pantheon. Like the Colosseum, the Pantheon is one of the great symbols of Rome and the best-preserved historical monument in the city. Visit the building and be amazed by the marble interior and the world’s largest unreinforced concrete dome. When you are through visiting the Pantheon, you will arrive at the last step of our itinerary: Trastevere. If you have some energy to spare you can reach the area by walking through the Jewish district. Otherwise, reach Largo Argentina and catch tram number 8, which leads to Viale Trastevere. Trastevere, traditionally a poor working class district, still maintains its authentic Roman character. Today it’s expensive, chic and one of the most exciting areas in Rome where tourists, intellectuals and wealthy people live. Take a walk down the ochre streets and visit Piazza Santa Maria in Trastevere along with the splendid basilica, Piazza Trilussa and the Basilica of Santa Cecilia in Trastevere. Walk up the hill to the Gianicolo and enjoy a wonderful view of the Eternal City. End the last day of your visit to Rome by dining at one of the many restaurants, bars and trattorias in this area. This is a general itinerary for visiting Rome in 3 days. If you think the steps above are too challenging you can remove some and you can decide what attractions you should spend more or less time at. 1 April – 30 September: every day, 7am – 7pm. 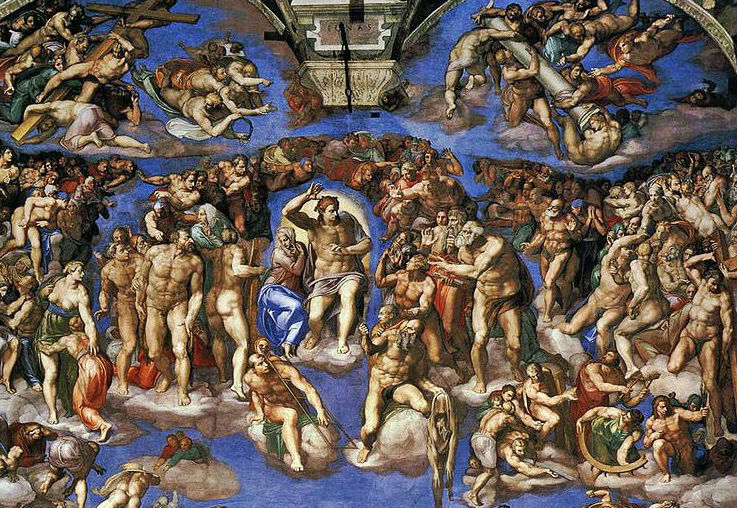 Vatican Museums: Monday – Saturday 9.00 am – 6.00 pm (last entry is at 4.00 pm and exit is half an hour before closing). every day 9.00 am – 7.30 pm (ticket office closes at 7.30). Full price €10, reduced price €5. every day except 25 December and 1 January, 9 am – 5 pm. from 1 October to the last Saturday of October, 8.30 am – 6.30 pm. Full price €12, reduced price €7.50, free for under 18 years of age. 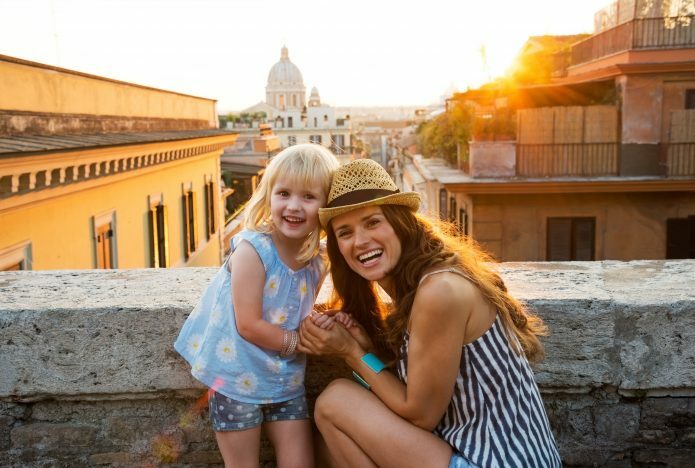 If you plan to visit Rome in 3 days with some children you will have no problem to arrange a trip. The eternal city, actually, even if has the reputation of being a “destination for acculturated people”, has a lot to offer also to small visitors. Parks, museums, attractions, there are plenty of things to see and have fun with them. Below we propose our itinerary to visit Rome in 3 days with children. This is a rough itinerary that you can adapt and modify according to the interests and the time that you want to devote to each attraction. Our itinerary begins with a visit to an attraction that your kids will definitely adore: EXPLORA, a museum dedicated to children from 0 to 12 years old. It is set up as a child-sized miniature city, where everything can be experienced, touched, lived. The museum opens at 10am and the visit (unguided) takes about 45 minutes. It is advisable to book on weekdays and it is absolutely necessary to do it on weekends. The reserved tickets must be picked up at the ticket office 15 minutes before the check-in time, otherwise your reservation will be canceled.To get to the museum go down to the Flaminio Metro stop and take Via Flaminio. The property is at number 82. After the visit go back to the metro station. The gardens of Villa Borghese are a great idea if you need to visit Rome in 3 days with children. By going through Viale Whashington you will find yourself in the beautiful gardens of Villa Borghese. Walk in the park where children can run and play at their leisure and stop there to eat. After lunch, dedicate a stage for you adults at the Carlo Bilotti Museum. It is small and has only 23 pieces, of which 18 works by Giorgio de Chirico, including the famous sculpture “Hector and Andromaca”, located at the entrance. The free view will not take long. It will be interesting for you, and your children, unless they are too small, will appreciate it. Continue the itinerary following the same road until you arrive at Piazza di Siena, where currently horse racing and summer concerts are organized. Near the square there is the Casina di Raffaello, a playhouse located in a beautiful palace of the 500, which offers fun shows and workshops for children from 3 to 10 years. Finally, you will arrive at the last stop of the day on this trip to visit Rome in three days with children: the Bioparco, which hosts about 1100 animals of 200 different species, it is an attraction to which your little ones will not say No. 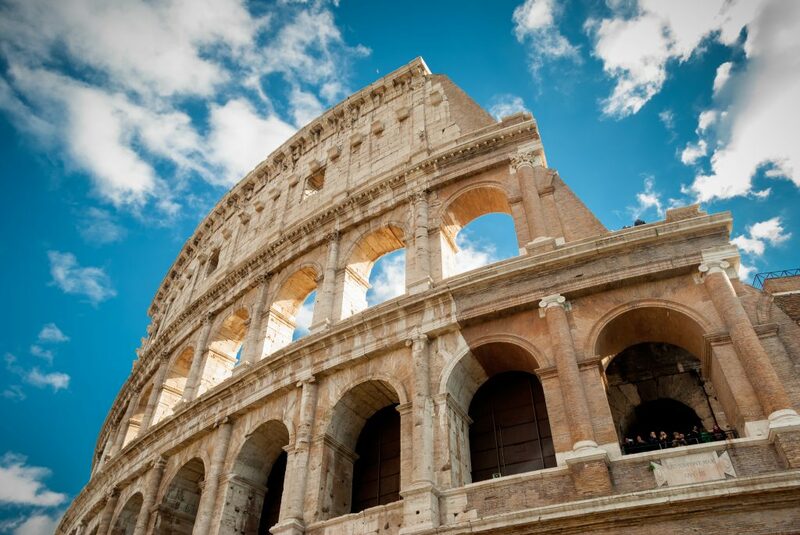 The second day of our itinerary to visit Rome in 3 days with children begins with the Colosseum (accessible to the disabled), the attraction that most of all represents the capital. Opened in the 80 AD by the Emperor Tito, has always had a function of celebrating public events, performances, fights of gladiators, and so on. It was and still is a show by itself. It can be visited on two levels and most of the structure of the arena is still visible. Reserve about an hour for the visit. If you have the Roma Pass you can jump the queue. Continue the itinerary along the Via dei Fori Imperiali, at the end of which you can admire the Trajan’s Market and the beautiful Trajan Column. Stop there and spend some time looking at the bas-reliefs that, like in a film, describe the emperor’s military campaigns against the Daci population. Via dei Fori Imperiali ends with the Vittoriano that may be a great destination if you are planning to visit Rome in 3 days with children. Piazza Venezia. Go up the steps of the Vittoriano (remember that it is forbidden to sit down for respect of the tomb of the unknown soldier to whom the monument is dedicated and that the controls are strict), take the usual pictures, and if you want to enjoy a nice view of the city, go up the terrace with the elevator located to the side of the monument. Stay in the area for lunch. After having lunch and taking some rest, reach Piazza Santi Apostoli. You can bring your children to visit the Wax Museum, the third largest in Europe for the number of characters that have been collected. It contains a collection of 250 wax figures including, in addition to popes, politicians and poets such as Barack Obama, Francesco Totti and, for the joy of the girls, Biancaneve. Alternatively, for a “more cultural” visit, you can go to Time Elevator, a 3D cinema inaugurated in 2005, where it is worth seeing the show on three scenic screens of Time Elevator Roma, a virtual trip in a lifetime simulator 45 minutes long through almost 3000 years of Roman history. The show starts every hour. 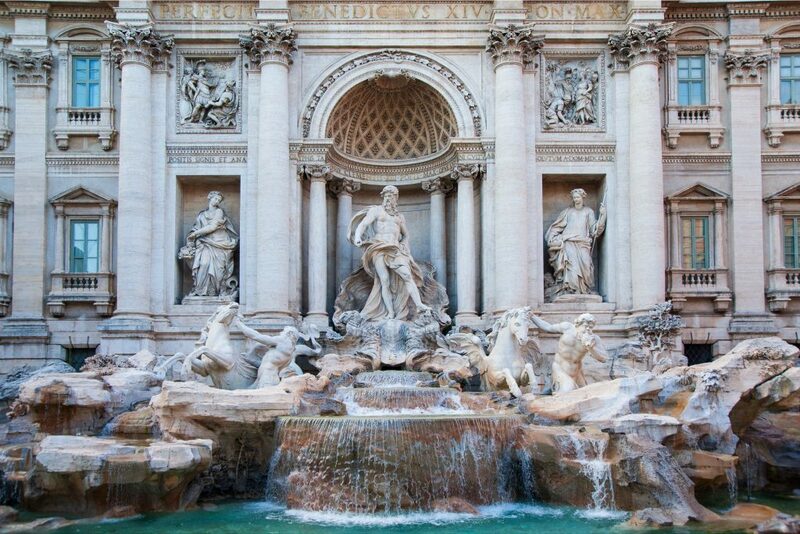 Going out of the cinema you can reach the Trevi Fountain, another of the attractions of Rome absolutely not to be missed. Take a moment here and make some pictures in front of this symbol of the capital. Then take the Via del Corso (shopping street) where you can shop for the whole family. Finally come to Piazza del Popolo, where you will find a 23.9 meters obelisk. It is the first obelisk that was transported to Rome at the time of Augustus, to celebrate the Emperor’s victory over Egypt. Initially it was positioned at the Circus Maximus. 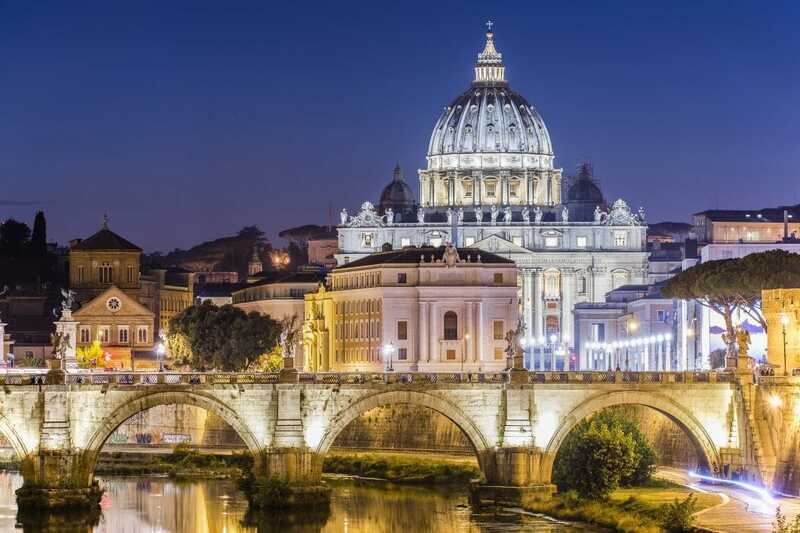 Our advice for the thitd day of your itinerary to visit Rome in 3 days with children is to go and visit the Vatican City. Take the subway and get off at Ottaviano-San Pietro stop. From there go through via Via Ottaviano and reach Piazza San Pietro, one of the largest public spaces in the world. Take some photos and let yourself be impressed by the vastness and magnificence of the place. 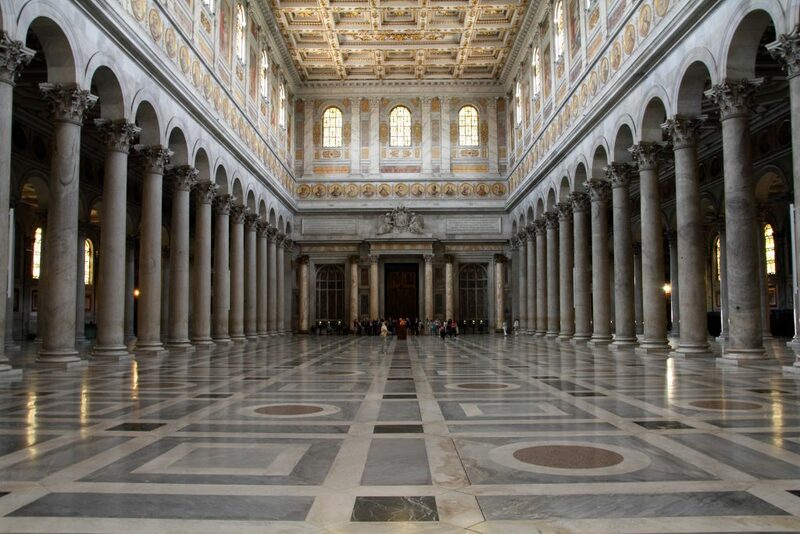 Then visit St. Peter’s Basilica (pay attention to the clothes you wear, because shorts, skirts and bare shoulders are not allowed) and allow yourself to be astonished by the enormity and richness of its interior. Stop to admire the moving Pietà of Michelangelo, which is protected behind a bulletproof glass. The artist sculpted it at the age of only 25 and it is the only work to bring his signature (you’ll find it engraved on the band that surrounds Maria’s chest). When you leave the basilica, take Via della Conciliazione until you reach Castel Sant’Angelo and visit it inside. If you have the Roma Pass you can skip the queue by going to the special turnstiles for direct access to the site. We recommend that you do not leave without going through the Terrace of the Angel, from where you can enjoy a wonderful view of the city. When you finish your visit stop for lunch. Be aware that in the area around the Vatican there are many trattorias and pizzerias that have no problem with serving poor food at prices far from cheap. After having some lunch and resumed some strenght reach Piazza Navona with its beautiful baroque palaces and the wonderful fountains (including the one of the four rivers by Bernini) .The square is characterized by a crowd of tourists, street artists and portrayers invading it every hour of the day and night. From here keep going along Via del Governo Vecchio until you arrive in Campo dei Fiori with the famous statue of Giordano Bruno, a heretic monk condemned to the stake during the counterreformation period, in the shadow of which the famous market full of colorful stalls is held. The square is one of the main points of the Roman life, during the day with its market, in the evening as a place to drink something. If children are hungry, there is a bakery called the”Ancient Oven” in front of the Giordano Bruno’s statue, which offers white pizza and very good focaccia breads. Our itinerary to visit Rome in 3 days with children ends up here. If you want you can end the day by dining nearby. 4th Round 17:00 – 18:45. 3rd Round 15:00 – 16:45. Thursday afternoon (excluding holidays) € 6,00. 24 and 31 December 10.00-14.00. Closed Monday, December 25, January 1, May 1. Free entry. Saturday and Sunday 10.00 – 19.00 (entrance allowed until 18.30). Saturday, Sunday and public holidays 10.00-19.00. 1 April – 30 September every day 7-19.00.
daily 9.00-19.30 (ticket office closes at 18.30). Full € 10, reduced € 5.
every day except December 25 and January 1 9-17.
from the first to the last Saturday of October 8.30 – 18.30. Last entry one hour before closing. Full € 12, reduced € 7.50, free under 18 years. Included in the Roma Pass. Where would you be able to find a good hotel in Rome? Below we propose an overview of the different areas of Rome so that you can choose the one that is the most convenient to you according to your needs and your budget. Here there are the remains of the glorious past of the capital, such as the Colosseum, the Palatine, the Imperial Forum and the Campidoglio. Crowded during the day by day-to-day tourists, after the closure of the monuments it becomes very quiet throughout the night. Here there are are high-end hotels and you will not be able to find many cheap options. With its cobbled alleys, lively squares, Renaissance palaces, cafes and trendy restaurants, this is the most fascinating area of Rome. Piazza Navona and the Pantheon are not far away, and there are many monuments, museums and churches full of art treasures. It is the capital’s most expensive neighborhood and therefore it will not be that simple to find cheap hotels. Please note also that it might be noisy. This area, crowded with tourists, is full of glamorous, trendy boutiques and refined hotels. It is an excellent solution if you are looking for mid-range hotels. The neighborhood has a good transport network. The neighborhood is close to the Basilica of Saint Peteir and the Vatican Museums. Here there are hundreds of souvenir shops and restaurants that are often too expensive for what they offer. In the wealthy area of Prati there is a good choice of hotels, shops and restaurants. It is well connected to the subway. It is an area of many facets. Here you can find medieval churches and monumental basilicas such as San Giovanni in Laterano, imposing ruins such as the Baths of Caracalla or quiet villas such as Villa Celimontana. If you love nightlife, you can find the best in Testaccio, with its traditional taverns. Here you can find cheaper hotels than in the center. If you are looking for a quiet and romantic place, choose the Aventino. It is one of the wealthiest neighborhoods in Rome. Here there is the most famous park in Rome (Villa Borgese) and the most exclusive residential area (Parioli). Those who love music can not go to the Auditorium park of music. Those who love art can choose between the MAXXI and the Borghese Museum and Gallery. Typically in the evening the area is quiet. There are not many cheap hotels. This is the area that gravitates around Termini station, so its streets are noisy. It has one of the most beautiful museums in Rome, that is the Palazzo Massimo alle terme. If you are looking for a budget hotel in Rome, this neighborhood is for you. This beautiful area of Rome, with its postcard lanes and its nonconformist atmosphere, is one of the most beloved neighborhoods in Rome. There is always a celebration air and there are hundreds of bars, cafes, restaurants and trattorias. For this reason it can be very noisy. Hotel accommodations are expensive. Whether you come to Rome for 3 days, whether your stay lasts a bit more or less, a tour of the Vatican Museums is a must. In fact, this visit alone justifies a travel. Believe us, a visit to the Vatican Museums is such an exciting experience that will hardly be erased from your mind. Once you get out of there, you’ll be struggling to figure out how much beauty has passed under your eyes. The museum complex is characterized by seven kilometers of exhibition space and contains more masterpieces than many small countries. It is located in the Vatican Apostolic Palace and offers visitors one of the largest art collections in the world.They say that, to visit the Vatican Museums, it would take an average person about twelve years. Do not think therefore that you will be able to see it all in a single visit! We remind you that museums are equipped for disabled people and, upon reservation, wheelchairs are available free of charge (for bookings: contact the reception at musei@scv.va or for direct requests contact the “special permits” desk). It is also possible to enter with strollers. Since queues at the Vatican’s ticket office are endless, we suggest you to buy the tickets online, you will save you a lot of time and avoid the stress of a queue. These were the private apartments of Pope Julius II, who entrusted to Raffaello, who was then 25 and was not yet very famous, to realize the frescoes of the four rooms. This commission allowed the painter to raise his “quotations” considerably. However, only two rooms were painted directly by him: the Signature Room (the study) and the Room of Heliodorus (the waiting room used for private hearings). The other two rooms, the Room of the Village Fire (the dining room) and the Constantine Hall (reception hall) were designed by students who followed his designs. It houses a fantastic set of classic statues. 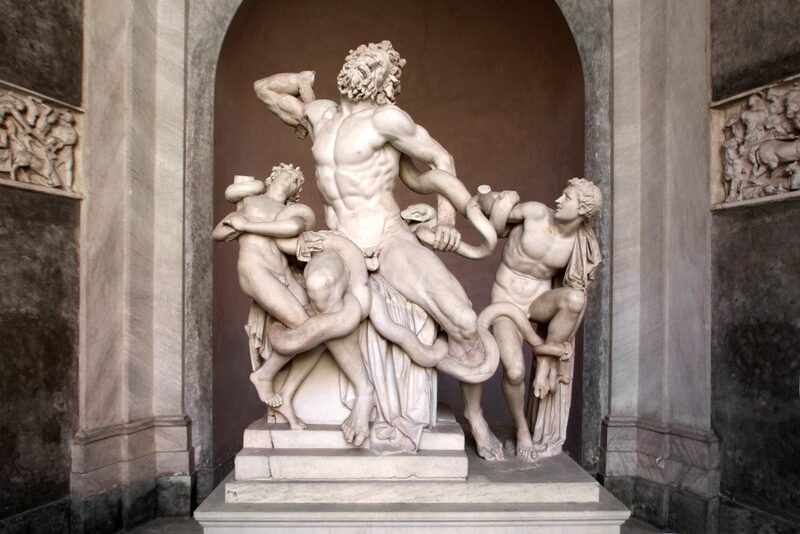 Among these, the most famous are the “Apollo del Belvedere” (Roman marble copy produced in the 2nd century BC of an original Greek statue in bronze dating to the fourth century BC), considered one of the great masterpieces of classical art, and the Laocoonte group (depicting a Troyan Priest of Apollo and his children fighting a deadly struggle with two sea snakes), which is also a Roman copy of a Greek original statue dating back to the I century. A.D. Both are located in the Ottagono Courtyard, the central courtyard of the palace. 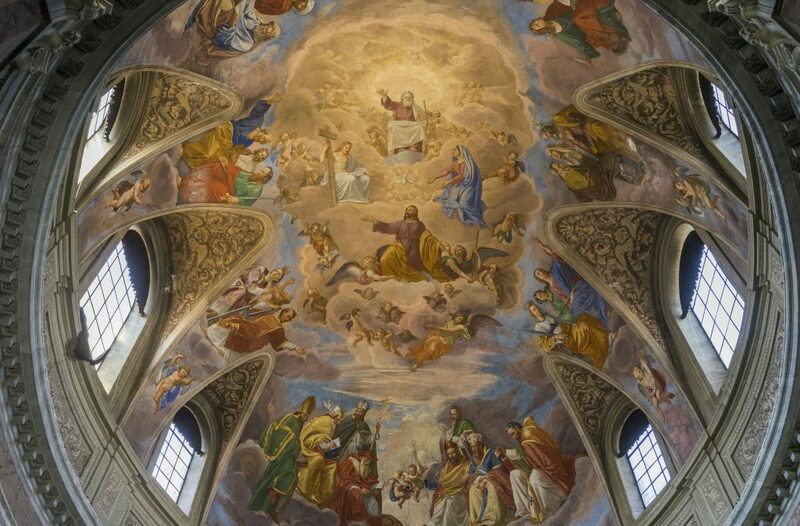 It was made by Pope Pius XI in 1932 and accommodates 460 paintings arranged in chronological order from the XI to the XIX century, with works by Giotto, Beato Angelico, Filippo Lippi, Guido Reni, Raffaello, Caravaggio and several other great artists. One of the lesser-known venues of the Vatican Museums, this gallery, 120 m long, is covered by huge and beautiful topographic maps, all made between 1580 and 1583 for Pope Gregory XIII on the basis of the indications of one of the the greatest cartographers of the time, Ignazio Danti. Visited by over 4 million people a year, it is the only place in the Vatican Museums that nobody would think of skipping. 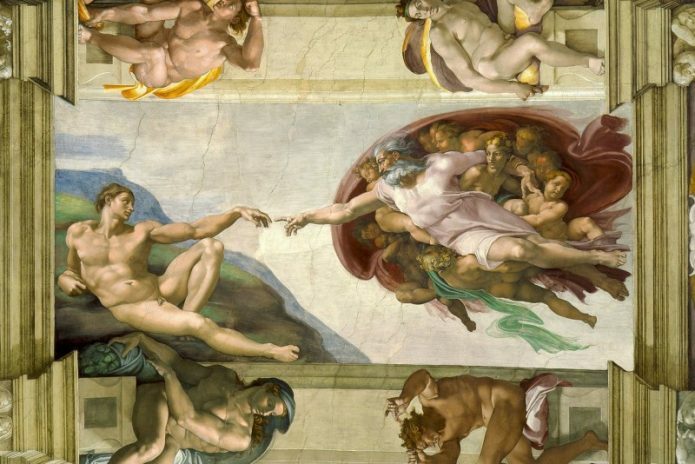 The Sistine Chapel is a spectacular place to visit and will be unforgettable. It was originally built for Pope Sixtus IV and was inaugurated on the 15th August 1483. It is a parallelepipedon with a barrel ceiling 40.2 m long, 13.4 m wide and 20.7 m high, the same size, as it was assumed, of the Temple of Solomon in Jerusalem. All the chapel, already frescoed by the best Renaissance artists, including Botticelli and Pinturicchio, just to name a few, and with a marble flooring in many colours was sacrificed to give space, all along, to two masterpieces by Michelangelo: the Genesis, realized between 1508 and 1512 and the amazing Universal Judgment, painted in 1541. In the latter, unlike the vault, it is impressive the amount of overseas blue that has been used. At that time, blue was very expensive, because it was made with lapis lazuli. 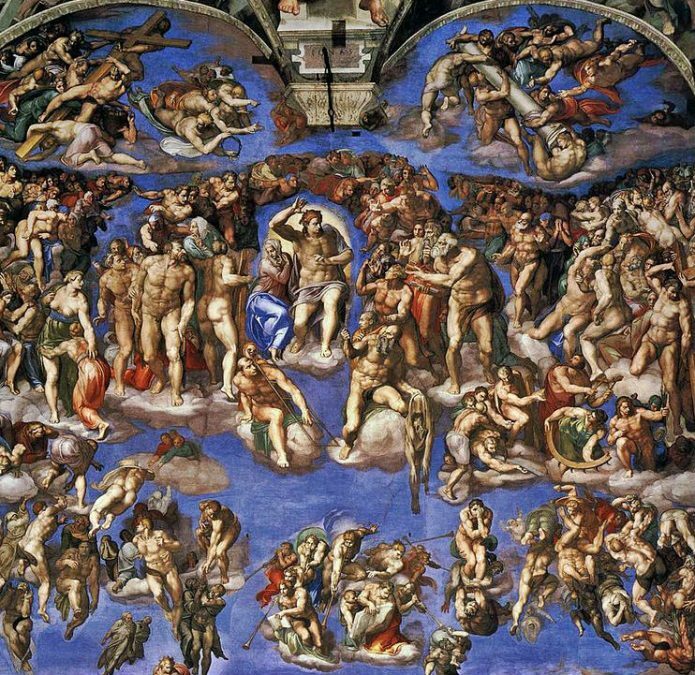 But since it was paid by the Pope Julius II, Michelangelo did not bother. On the contrary, he did not spend much in painting the vault since he had to pay personally for the materials. If you are passionate about Christian art, this itinerary to visit the churches of Rome in 3 days is for you. It will take you on a journey through the most beautiful and most interesting churches from the historical, artistic and faith point of view. All itineraries can be walked all on foot. The itinerary, which will last a full day, takes place in the historic center of the city. You can start from Piazzale della Repubblica (metro station: Repubblica) in front of which stands the huge Basilica of Santa Maria degli Angeli e dei Martiri (St. Mary of Angels and Martyrs) that incorporates those that once were the great antechamber and the tepidarium of Diocletian Baths, of which eight huge Egyptian marble columns remain. Designed by Michelangelo, it was completely remodeled by Vanvitelli in 1750. Notice the double sundial traced on the transept floor, which indicates the polar star and when the sun rises to the Zenit. From the square get on via Nazionale and reach the Church of San Paolo in the walls. In gothic style, it is the first non Roman Catholic church. The American episcopal church, completed in 1880, is famous for the nineteenth-century mosaics made by Edward Burne-James, who included among the characters of the work some portraits of his contemporaries. The trip to visit the churches of Rome in 3 days continues with the Church of Santa Prudenziana, the church of the Philippine community of Rome. Noteworthy is the golden mosaic of the 4th century which represents the oldest apsidal mosaic of the city. Continue past Piazza Esquilino until you arrive at the Basilica of Santa Maria Maggiore, one of the four papal basilics dating from the 5th century. Among the things to see there are the 13th-century mosaics of the façade, the cosmatic floorings, similar to marble carpets and mosaics of the apse. From here keep going and you will find the Church of Santa Prassede, characterized by its glittering Byzantine mosaics, whose tiles still shine after a millennium from its creation. Then take via Merulana and go down to the bottom where the Basilica of Sant’Antonio in Laterano stands, with its artistic masterpieces and frescoes attributed to Franciscan artists. 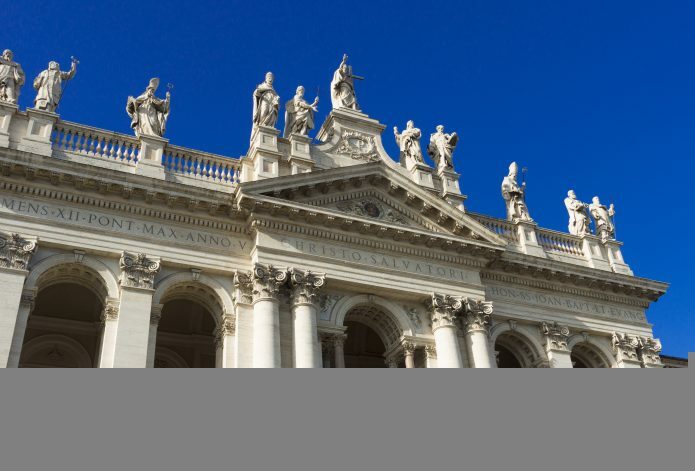 Next to this building you will find the Basilica of San Giovanni in Laterano, the oldest among the papal basilicas. Consecrated in 324 it was a papal seat until 1309, then fell into ruins. What you see today is the result of remakes made after 1361. You can admire the monument to Pope Silvestro, the canopy and the cloister. The basilica is the largest and richest church in Italy. The first thing that will surprise you is the large size of the church and of everything inside it (including the holy water containers!). Among the things to admire there are the Bernini canopy on the papal altar and the immense dome. Take some time to admire the moving Michelangelo’s Pieta, which is behind a bulletproof glass in a chapel at the beginning of the right nave. Sculpted by the artist when he was 25, it is the only work that comes with his signature (on the band that surrounds Maria’s chest). The itinerary continues with a visit to the Vatican Grottos, which stretch under the basilica for its entire length. Here you’ll find the tombs of many popes, including that of Pope John Paul II, which will surprise you for its simplicity in comparison to the glittering of the monuments of the basilica above. You can also see some large columns belonging to the basilica of the fourth century. Buy your ticket for the Vatican Museums! We recommend that you dedicate the last day of the itinerary to visit the churches of Rome in 3 days to a visit of the Aventino hill, where some of the oldest churches in Rome can be found. The itinerary starts from the Circo Massimo (metro stop: Circo Massimo). Today it looks more or less a working grass basin, but in the I century. B.C. was the largest stadium in Rome, with a capacity of up to 250,000 spectators. From there proceed to the Bocca della Verità (Mouth of Truth). Take some photos that can witness that you’ve been here and then head to the Aventine, which hosts the Roseto Comunale (Town Rose Garden) with more than 1100 roses from around the world. Continue the itinerary by taking Via Santa Sabina and visit the Giardino degli aranci (Oranges Garden), from which you can see one of the most beautiful views of Rome. Take advantage of it to make some panoramic photos. Return to the street where you will meet the Basilica of Santa Sabina, dated to the 5th century, period when the cypress wood portal with 18 carved panels were made up. One of them is the crucifixion, one of the first portrayal of Christ’s passion. The church of Santa Maria del Priorato is located next to Piazza Cavalieri of Malta, the order to which the church belongs. Keep going straight to the Cimitero Acattolico (Non Catholic Cemetery), considered one of the most beautiful non-Catholic cemeteries in the world. In front of the cemetery there is the Pyramid of Caio Cestio inspired by the Egyptian style and built in I sec. B.C. The tour to visit the churches of Rome in three days ends with a visit to the Basilica of St. Paul Outside the Walls. Built by Constantine in the 4th century on the tomb of Saint Paul (decapitated under Nero in 67 AD), the splendid basilica was the largest church in the world until the construction of today’s St. Peter’s Basilica. what we see today is a faithful reconstruction after the fire of 1823, although some original parts remained, such as the triumphal arch, the Gothic ciborium and the candelabrum for the Easter votive candle. In the itinerary that we have proposed to visit the churches of Rome in 3 days, we did not suggest any times for pauses and we entrust them to you depending on your interest and on the time that you would like to dedicate to individual attractions. St. Peter’s Basilica: 1st October – 31st March every day 7am-6.30pm / 1 April – 30 September every day 7am-7pm. Free admission. Vatican Museums: Monday to Saturday 9am-6pm (last entry at 4pm and exit from theaters half an hour before closing). The Colosseum – What is it like? 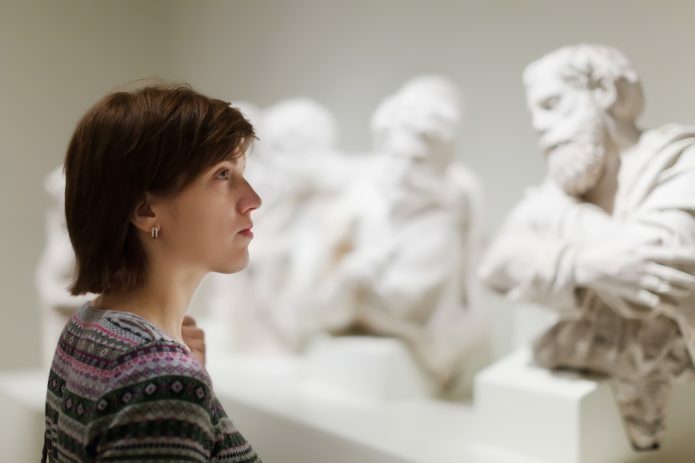 For art lovers, a visit of the museums in Rome in 3 days can be an incredible experience. In fact, the capital hosts plenty of museums, some of which are really not to be missed. From the Vatican Museums to the Capitoline Museums, from the Borghese Gallery to the MAXXI, each of them is an attraction that will not disappoint you. Since you need to spend at least two hours in each museum, we recommend that you visit only one of them each day , and then spend the rest of the day exploring the area around the museum that you have chosen. Here is our proposed route to visit the museums of Rome in 3 days. The attraction from which we propose to begin the itinerary to visit the museums of Rome in 3 days is that of the Capitoline Museum (Musei Capitolini, equipped for the disabled). Arrive in Piazza Venezia (Piazza Venezia bus stop) and reach Piazza del Campidoglio by accessing the Cordonata, the staircase from the Ara Coeli square rising to the top of the hill.Admire the square made by Michelangelo at whose center there is the copy of the equestrian statue of Marco Aurelio (the authentic one is found in the Capitoline Museums). The square is surrounded by three buildings: Palazzo Senatorio at the bottom, Palazzo Nuovo on the left and Palazzo dei Conservatori on the right. The museums are located in the last two buildings. The main entrance to the museum complex is in the Palazzo dei Conservatori, where the original core of the Statuary collection and a Pinacoteca (on the second floor) are located, with paintings by Titian, Tintoretto, Rubens, Van Dyck and many other great artists. Palazzo Nuovo instead contains an incredible number of classic sculptures. Not to be missed, among other things, the lupa Capitolina (capitoline wolf), the dying Galata, and the Capitoline Venus. A good visit will require at least two hours. After getting out of the museums stop for lunch. Once you have been refreshed and have regained your strenght go back to Piazza Venezia, dominated by the Vittoriano, the immense white marble monument which was erected in 1885 to celebrate Italy’s unity. Later it has been devoted to the unknown soldier and a torch burns perennially inside, guarded by guardians of honor. We remind you that it is forbidden to sit on both the stairs and inside, the controls are severe. To enjoy a 360° view of the town go up to the terrace with the glass elevator on the side of the monument. Walk to the Pantheon, the best preserved ancient monument in Rome and one of the great symbols of the capital. Enter and be amazed by its largest concrete dome in the world and by the marble-covered interiors. From there, head to Largo Argentina and take the tram number 8 to Viale Trastevere. End up the evening in Trastevere, the heart of Rome and today the hub of nightlife and wine and food. As an alternative to the Capitoline Museums you can visit the Palazzo e Galleria Doria Panphilj (bus stop: Via del Corso), which contains one of Rome’s richest private art collections. The galleries consist of ten halls arranged chronologically and full of floor-to-ceiling paintings. Do not miss Salomé with the head of the Baptist byTitian and the Rest while escaping to Egypt by Caravaggio and again the portrait of Innocent X of Velasquez. When you finish your journey, follow the route described before, also because you are very close to Piazza Venezia. Capitoline Museum: every day 9.30am to 7.30pm, 24 and 31 December 9.30-14. The ticket office closes an hour before. Closed on January 1, May 1, December 31. Full ticket price € 14, reduced ticket price € 12. Included in the Roma Pass. Palazzo e Galleria Doria Panphilj: every day from 9am to 7pm. Last entry at 18.00. Closing: December 25, January 1, Easter. Also open on November 1, Angel Monday, April 25, May 1, June 2 and August 15. Full ticket price € 12, reduced ticket price € 8, family ticket € 40,00 2 adults + 3 children aged 6 to 18 years old. Free under 5 years. Start your second day in the capital with a visit to the Vatican Museums (we recommend you to purchase the tickets online to skip the queue). To get there, get off at the Ottaviano San Pietro Metro Station. Visiting the Vatican Museums is an experience that you will not forget easily: 7 kilometers of exhibition space and more masterpieces than those found in many small countries. They have one of the largest art collections in the world. Do not you to be able to see them all, you could spend years there! For a panoramic tour (plan no less than two and a half hours) we recommend to visit the Pinacoteca (do not miss the Raffello’s Transfiguration), the Pio-Clementino museum (for the Apollo of the Belvedere and the magnificent Laocoonte), the Geographic Gallery, the Rooms of Raffaello and the unmissable Cappella Sistina (the only room with air conditioning). After terminating the visit, with the Michelangelo’s paintings still in your eyes, stand in St. Peter’s Square (piazza San Pietro) for the unmissable photos and enjoy the grandeur of St. Peter’s Basilica (Basilica di San Pietro) If you are not yet in an art overdose and the queue is not crazy go and visit it, otherwise you should stop for eating and some rest. Once you have regained strenght walk through via della Conciliazione until Castel Sant’Angelo and admire it only from the outside. Cross Ponte Sant’Angelo and walk through the alleys and squares that will take you to Piazza Navona. Blend into the crowd of tourists and street artists who fill it every hour of day and night and let yourself be overwhelmed by the beauty of baroque palaces and fountains that characterize it.Take a break to drink the best coffee in Rome in the nearby Sant’Eustachio square in the homonymous café, and then reach Campo dei Fiori. In the shadow of the statue of the heretical Giordano Bruno, who was burned alive there, the square is one of the central points of the Roman life: during the day a market full of people, in the night a place where to go and drink something. As an alternative to the Vatican Museums you can visit the Roman National Museum: Palazzo Massimo at the thermal baths (metro stop: Termini). 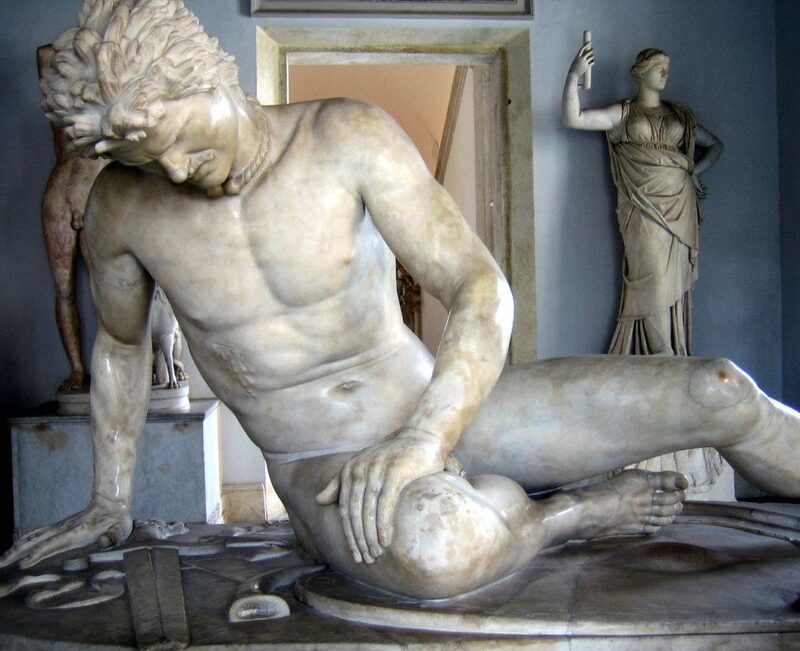 The museum (accessible also by handicapped), often overlooked, is wonderful, large and bright and contains spectacular classical pieces of art (the Resting Boxer, the Sleepy Ermaphrodite) as well as extraordinary paintings and mosaics. After visiting the museum spend the rest of the day according to the route described above. You can reach Piazza Navona with an half hour walk. 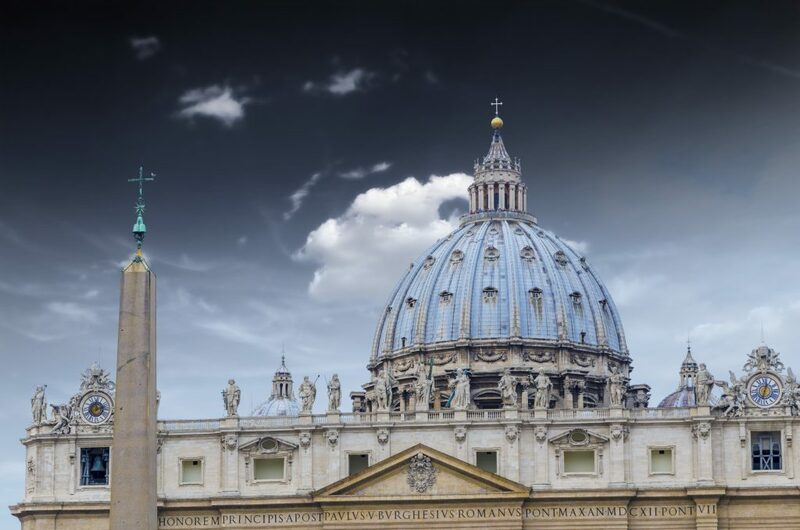 St. Peter’s Basilica: 1st October – 31st March every day from 7am to 6:30pm / 1 April – 30 September every day from 7am to 7pm. Free admission. Roman National Museum: Palazzo Massimo at the thermal baths Open daily from 9am to 7pm. Closed on Mondays (except Mondays in Albis and during the Culture Week), 1 January, 25 December. The ticket office closes at 7pm. Full € ticket price 8 Reduced ticket price € 3.50, free under 18 years. Included in the Roma Pass. 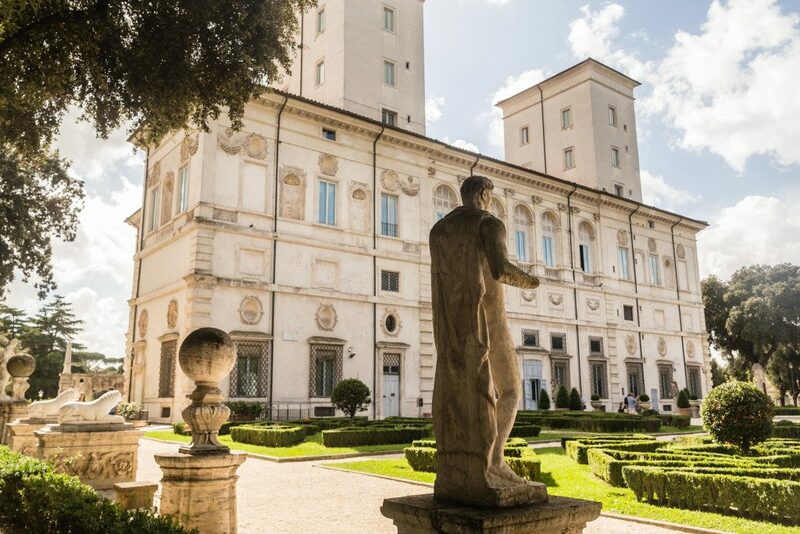 If you are in love with art, you can not miss from your trip to discover the museums of Rome in three days, a visit the Borghese Museum and Gallery, called the “Queen of Private Art Collections”. In a single place you will find concentrated works by Caravaggio, Bernini, Botticelli and Raffaello, and the famous Canova statue depicting Paolina Borghese as Venus winner. To limit the number of visitors people are allowed to enter only at two-hour intervals. It is necessary to book the date and time of the visit. You can do it by phone or online. The entry is in piazzale del Museo Borghese n. 5. If, however, after the Capitoline and Vatican museums you have gone in an overdose and want a radical change, it’s worth making a visit to the MAXXI (National Museum of the 21st Century Arts). The flagship of contemporary art galleries, designed by the Anglo-Iraqi architect Zaha Hadid, was inaugurated in 2010. The multi-layer geometric façade hides an interior of gigantic dimensions, full of light and crossed by suspended staircases and structures made of glass, cement and iron. It consists of two sections, one dedicated to the architecture and one to contemporary art. It is espacially interesting thing is to visit it during exhibitions and installations. You can reach the place by metro (line A stop Flaminio) by tram and by bus getting off at the Viale Tiziano stop. Whatever your choice, after your visit, we recommend you to spend the rest of the day walking and strolling in the Villa Borghese park. Keep going in Piazza del Popolo and arrive to Piazza di Spagna, with the spectacular staircase of Trinità dei Monti (recently restored and brought back to its ancient splendor) and the Barcaccia fountain. Finish the evening by dining in one of the many places of the area. Our itinerary to see the museums in Rome in three days is just an overall advice. Choose the one that you prefer and dedicate your time to the various attractions as you like. Borghese Museum and Gallery: Monday closed, Tuesday to Sunday from 8.30 am to 7.30 pm Closed on January 1, December 25. The entrance is allowed up to half an hour before the closing time. Full ticket price € 11,00 (9,00 + 2,00 for mandatory booking), reduced ticket price € 6,50 (4,50 + 2,00 for mandatory booking). The cost of the entrance ticket to the museum may be increased after what has been paid at the time of booking for the opening of a temporary exhibition. MAXXI: Tuesday to Friday from 11 am to 7pm, Saturday from 11am to 8pm, Sunday from 11am to 7pm. Closed all Wednesdays, 25 December and 1 January. The ticket office closes an hour before. Full ticket price € 10, reduced ticket price € 8, free under 14. The Colosseum – How it is made? 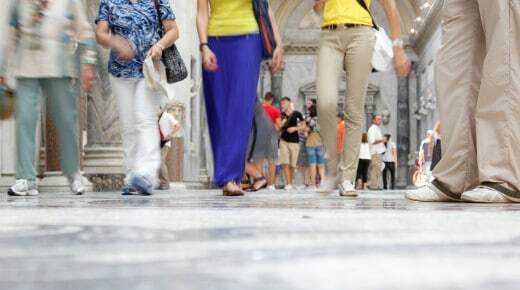 Knowing where are the free museums in Rome will allow you to “get an education” without putting your hand in the wallet. There are in fact several free museums in Rome: some are always free, others are free only on the first Sunday of the month, others still have free entrance on the last Sunday. To simplify the task of understanding which museums to see and when to access them for free, we have created a list of some of the free museums in Rome: choose where to go according to your interests and the time you have available. In the museum there is a large collection of Napoleonic memorials, inherited from the collection owned by Count Giuseppe Primoli (1851-1927), son of Carlotta Bonaparte and kept inside Palazzo Primoli. Inside the same palace there is the Primoli Library and the Mario Praz Museum, the detached home of the National Gallery of Modern Art. Timetable: Tuesday – Sunday 10.00 – 18.00; 24 and 31 December 10 am – 2 pm. The ticket office closes half an hour before. Closed on Monday, December 25, January 1, May 1. It is located in Porta San Pancrazio, a strategic point for the defense of the French siege of 1849, conducted by Garibaldi. The museum and the Garibaldi’s memorabilia are small but well-kept, and lead through the memories of the heroic resistance in which Goffredo Mameli and Emilio Dandolo died. Among Garibaldi’s memorabilia you’ll find the red shirt worn by Garibaldi. Timetable: Tuesday – Friday 10.00 – 14.00 (entry every 45 minutes); Saturday, Sunday and public holidays 10.00 – 18.00 (normal entrance); 24, 31 December 10.00-14.00. Closed December 25, January 1, May 1. It is a small museum. It contains only 23 works, of which 18 are by Giorgio De Chirico. Temporary exhibitions are often held here. Timetable: Tuesday – Friday 10.00 – 16.00; Saturday and Sunday 10.00 – 19.00. Closed on Mondays. It is the palace, now converted into a museum, which was used by the SS as a place of imprisonment and torture for so many anti-fascists, many of whom were shot by the same SS. It is a collection of documents, newspapers, posters and flyers about the Nazi-fascist occupation of Rome and the Second World War Italian Resistance. The structure has been kept as close as possible to its appearance during the war years, so it is not welcoming buiding. Timetable: Tuesday – Sunday 9.30 – 12.30; Tuesdays, Thursdays and Fridays 15.30 – 19.30. Monday closed. It contains a beautiful collection of Greek, Roman, Assyrian and Egyptian sculptures and artefacts, donated to Rome by Senator Giovanni Barracco in 1902.